Bass on the Golf Course: White Suckers! 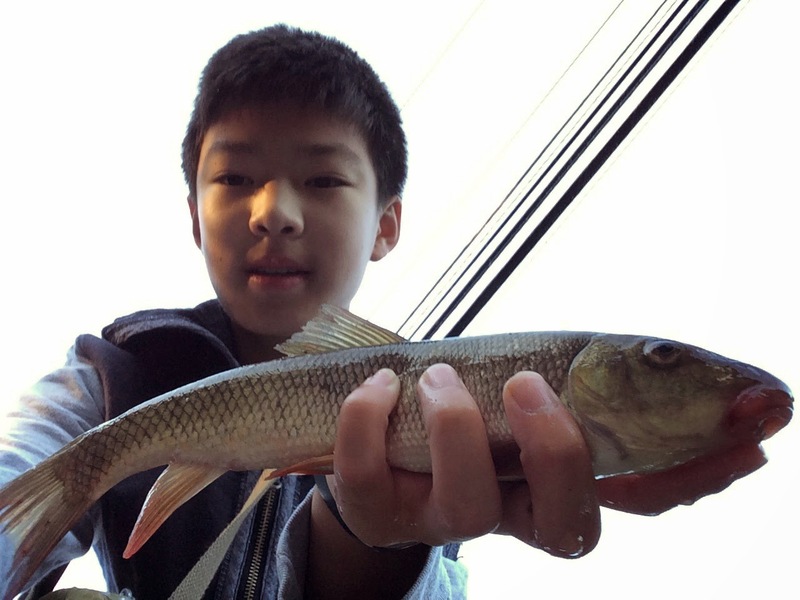 Went for a morning outing at sunrise with a can of worms to chase the elusive white sucker, a fish so wary and picky in NJ it has avoided me for years. This time I was determined to catch one in a place that I knew had them. Dropping a stationary bottom rig, I was plagued by redbreast sunfish and the occasional bluegill. I didn't get a glimpse of a sucker until an hour later when a sucker cautiously came out from under a bridge to feed, quickly followed by its comrades. I tried enticing them, but the wouldn't sniff at my worm. When I dropped the sinker into the water, they would always scatter, only to regroup later. I decided to change my tactics. I used a chartreuse jig head with a piece of worm to sight fish the suckers. 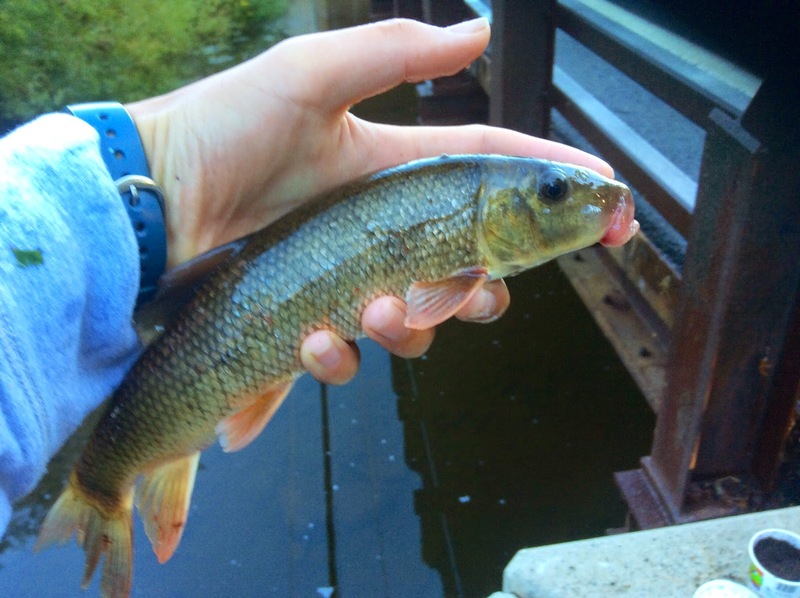 After a half hour of fruitless efforts, I located a smaller, lone sucker. This required so much stealth and precision. If I placed the bait to the side, the sucker wouldn't notice it. 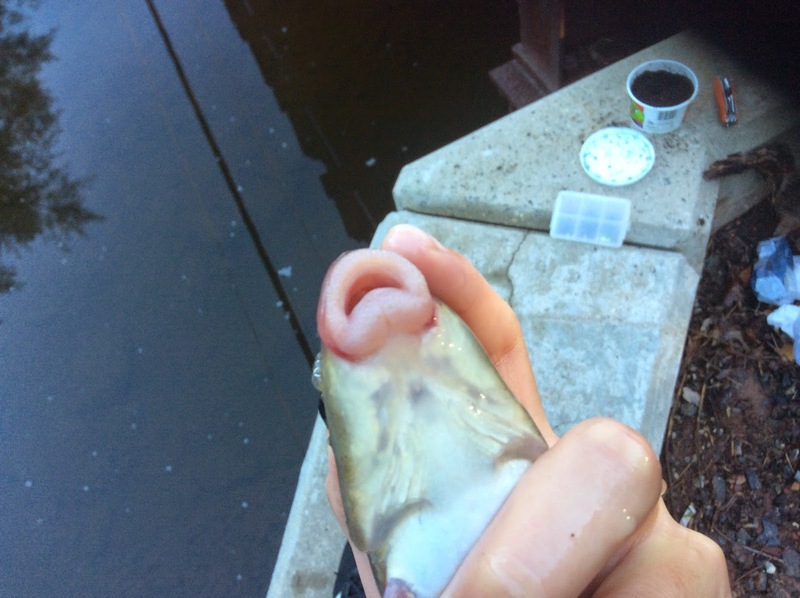 If I plopped the bait to hard onto the water, the sucker would flee. And the question of whether he would take the bait or not was up to luck. Somehow, I managed to present the jig perfectly, just millimeter from his nose. Ever so slowly, he glided to the jig, hovering over it. Then he twitched his fins and I set the hook. A battle ensued, ending with me being victorious. I finally was able to cradle a sucker in my hands.